Please write to Andy or Me to join in with your Gun Violence story or message! Go to PPGV.org to view the entire blog. On October 29, 2013 the Public Health Institute hosted a webinar on gun violence entitled Dialogue4Health. Important to docs was the work by Cure Violence of University of Illinois at Chicago described by Charlie Ransford, MPP. They have found that violence is learned early in life, and that children raised in a violent environment are 30 times more likely to perpetuate a violent crime. Using an infectious disease-like approach they have worked successfully to decrease the likelihood of repetition working with likely offenders. Victims may plan retaliation while in your ER following a shooting. So be aware as shooting victims may take action then. See Dialogue4Health.com for details. Dr. Walden and Dr. Zweifler engaged medical students at Wayne State and University of Michigan during October 2013. 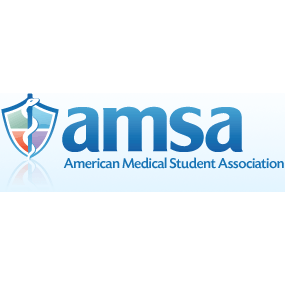 U of Michigan American Medical Student Association (AMSA), led by M1 Adriana Coleska, sponsored a presentation by PPGV on October 28, 2013. Andy Zweifler and Jerry Walden talked to a group of interested students, some of whom added their names to our mailing list. A few days earlier on October 25th Andy, Angelos Constantinidis, and Jerry traveled to Wayne State University to talk to medical student members of AMSA and a few faculty members about gun violence. An animated discussion followed and many of the medical students joined PPGV. It’s always good to be with idealistic, future young physicians. We talked about the “11th Law”, i.e., “Family doesn’t let Family members live in a house with guns if they are struggling with mental illness”- a suicide prevention rule and many other facets of the problem. Kelly Hendershot, AMSA president and 2nd year student at WSU Medical School facilitated this event. Walden and Zweifler spoke before the Washtenaw County Board of Commissioners in support of a petition to repeal Michigan’s Stand Your Ground law on Oct. 16. After hearing from both sides on the issue, the Board of Commissioners voted 5-4 to send the petition to all state officials. The majority of commissioners felt the law was dangerous.